In Huế, South Vietnam, soldiers of the Army of the Republic of Vietnam opened fire into a crowd of Buddhists protesting against a government ban on the flying of the Buddhist flag on Vesākha, killing nine and sparking the Buddhist crisis. The incident spurred a protest movement by Buddhists against the religious discrimination perpetrated by the Roman Catholic-dominated Diệm regime, known as the Buddhist crisis, and widespread large-scale civil disobedience among the South Vietnamese. Today Köhler announced his resignation as President of Germany. This came after German politicians criticized comments made by Köhler in relation to overseas military deployments. 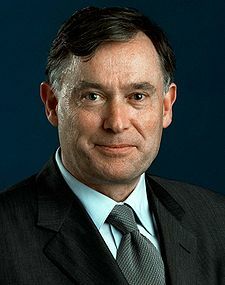 Horst Köhler, Interview with Deutschland radio, on 22 May 2010. As stipulated by the Grundgesetz, the powers of the vacant office are executed by the President of the Bundesrat Jens Böhrnsen. On Friday, the 189 Parties to the Nuclear Non-Proliferation Treaty (NPT) agreed to a final resolution calling for steps toward the banning of weapons of mass destruction (WMD) in the Middle East. The resolution directs United Nations Secretary-General Ban Ki-Moon to organize a conference of all the Middle East states. 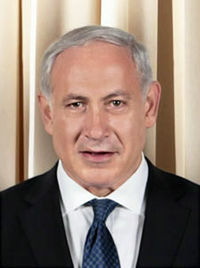 The resolution singles out Israel, calling on “all states in the Middle East that have not yet done so to accede to the treaty as non-nuclear weapon states so as to achieve its universality at an early date.” In an official statement from the Prime Minister’s Office, Israel said the resolution, “is deeply flawed and hypocritical. Two sculptures have been confiscated and thirteen pro-democracy activists arrested in Hong Kong, in what critics have described as “politically motivated” censorship. 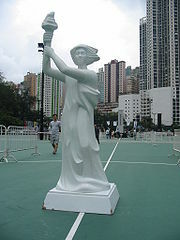 The sculptures, a new replica of the “Goddess of Democracy” and a carving called the “Tiananmen Massacre Relief”, had been placed in the piazza of Hong Kong’s Times Square shopping mall in remembrance of the 21st anniversary of the Tiananmen Square Incident. Although the Causeway Bay piazza is designated as a public space, its day to day operations are run by the shopping mall’s management. They made a complaint that the Hong Kong Alliance in Support of Patriotic Democratic Movements in China, or the “Alliance” for short, had failed to ask permission for their activities. Authorities in Jamaica say that gunfights in the capital Kingston have left at least 30 people dead, as hundreds of troops and police search for an alleged drug kingpin wanted by the US. At least 25 people were injured as well. Today Dubai World said that it had reached an agreement “in principle” with most of its bank lenders to restructure debt worth $23.5bn (£16.4bn). It would be left with debts of $14.4bn after the restructuring. But the deal must still be approved by other banks that were not involved in the negotiations. The terms of the restructuring, include converting $8.9bn of government debt into equity. The government of Dubai and Dubai World had tabled this offer to bank lenders in March 2010 after three months of negotiations. Dubai World (Arabic: دبي العالمية‎) is an investment company that manages and supervises a portfolio of businesses and projects for the Dubai government across a wide range of industry segments and projects that promote Dubai as a hub for commerce and trading. It is the emirate’s flag bearer in global investments and has a central role in the direction of Dubai’s economy. Assets include DP World which caused a storm when trying to take over six US ports, and Nakheel, its property arm, which built The Palm Islands and The World developments, and Istithmar World, its investment company. 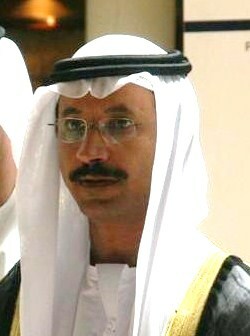 It is chaired by Sultan Ahmed bin Sulayem.